Home Page | New Products | Shunyata Venom signal cables! 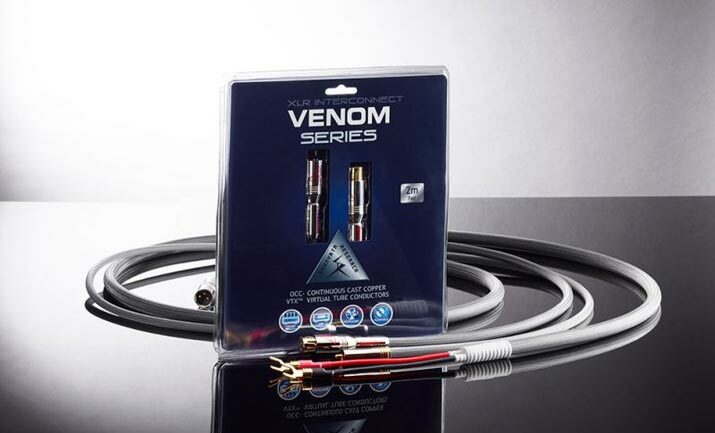 They say good things come to those who wait and today this has been confirmed with the arrival of the new Shunyata Research Venom series signal cables. Following on from the huge success of the Venom series power distributors and power cables, the signal cables completes the line up with both balanced (XLR) and single ended (RCA) interconnects and speaker cables featuring the exclusive STIS interchangeable terminals. Pricing for the Australian market will be available from next week and the cables will be on demonstration exclusively at AV Gallery before the end of September, so call now to book a time to see and more importantly hear these ground breaking new cables!